This concept is also a good opportunity for (new) elePHPants to know about all these things and conferences going on. My message and aim in this respect is: [ (Read + Observe + Learn) => Do_It_Thyself]. Everything is possible, let’s get going. let’s do this! I’m James Titcumb or known on Twitter and IRC as “asgrim“. 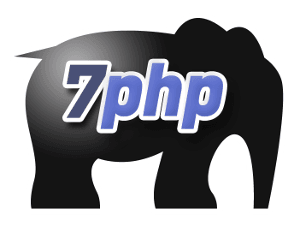 I lead the PHP Hampshire user group and the PHP South Coast conference itself. For a day job I work at a life insurance comparison website, Protected.co.uk. 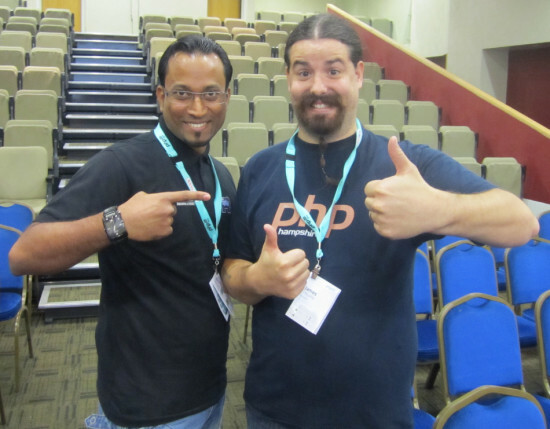 This conference is a gathering of three user groups in the south coast of the UK – PHP Hampshire, PHP Dorset and BrightonPHP and is a real community offering. We want to make this conference all about the community and helping each other learn. This will be the first year! We got together to first “officially” discuss our plans in the evening before the PHPNW14 conference, so I guess you could say that our conference was born on 3rd October 2014. I think because we are making sure this conference is aimed squarely at the community, the community have offered us loads of help already, in particular some of the PHPNW team have given us loads of really great advice, which we are really thankful for. >> Place it will be held? The conference will be held at a really amazing venue – the Action Stations venue in the Portsmouth Historic Dockyard. It’s a really stunning location – you’ll be surrounded by the best maritime history in the British Navy and you’ll be able to have a close up look at notable historic ships, HMS Warrior and HMS Victory for example. The venue itself is amazing and even has a laser quest arena! The idea for this conference came from discussions long ago. When we started the PHP Hampshire user group, we always thought “it would be really cool to run a conference too“, but knowing the immense amount of organisation and planning that must go into it, we were focussed initially on getting the user group off the ground. We felt that now is the right time – we have stable and brilliant user group so we feel that, along with the Dorset and Brighton team, we can really make this a great conference. The aim of our conference is to build further an already great community into something even more incredible. We want to make sure that everyone has as much opportunity to learn new things and integrate with other developers in the area. This conference is not necessarily about the “people”, but it is about the community – specifically, the triad of user groups on the south coast in the UK – PHP Hampshire, PHP Dorset and BrightonPHP. The leaders of those user groups are me (PHP Hampshire), Dave Baker (PHP Dorset) and Rich Sage (BrightonPHP), and we are the leaders of the organisation team. But there are many members of those user groups getting involved with helping everything run smoothly. >> How is the task dispatched among the team? We have two meetings a month via Hangouts, where we chat and delegate tasks accordingly. We have team leaders for various departments (e.g. stationary, speakers, sponsorship etc.). Contacting sponsors is difficult, but we are targeting both local companies who would benefit greatly from being involved in the conference, as well as globally recognised brands who love the community spirit. To me, sponsoring a conference should be a no-brainer for a company – it is possibly some of the best exposure a company can get for their brand name. For us, we are looking for sponsors who understand the community and want to get involved in the right way. If this does not happen the right way, it can be damaging to both the conference and the company, so it’s important we get it right. >> Challenges involved in finding sponsors? For me personally, getting companies to listen is the hardest – some companies see the value straight away, but other companies don’t see the benefits and still think “what is in it for me?” Those companies do not realise the wider picture in that they are getting long-term exposure and should be involving themselves in the community in order to really benefit. It is not as simple as just “buying” into the community – those sort of companies are easy to spot a mile off and may not represent the best sponsors. >> What unique opportunity does organizing a PHP Conference, presents? It is great learning from other conference organisers and seeing the “other” side of everything going on. It’s an awful lot of work, but I’m confident we can deliver a good conference that we can work on and improve in future iterations. We will be having two “rounds” of selection of the speakers. The first is a “blind rating” round, where the whole organisation team will have an opportunity to rate each talk – but they will only see the talk title and abstract, no personally identifiable information. We will then order the talks by this rating and then a small selection committee will review and finalise the talks and schedule, based on whether we can afford to pay travel costs, ensuring diversity in many areas, such as topics covered, demographic and also experience. We are looking to achieve 40% new speakers to give lesser experienced speakers a chance to get that much-needed experience. This conference we want to ensure is a community-based conference – the venue is unique and we really want to inject some of the spirit of the south coast into this conference to make it something really special. The inaugural conference will be a one-day conference with two tracks, on 18th July 2015. It is immensely different! With a user group there is not too many things to worry about, but when you want to organise a professional-level conference, there is so much more to think about! The great thing is, we are all UG organisers so we can learn off each other too. I would like to really thank everyone who is helping us, giving us advice, the organisers team, and all the great community people – whether that is UG organisers, conference organisers, developers – anyone who is helping to make this conference a reality!